I made these wraps sometime last winter and just never got around to writing the blog post until I stumbled across the pictures again today. The recipe is from Mel’s Kitchen Cafe, but I’ll include my slightly tweaked version of the recipe here. This is a really flexible recipe, but here’s what I used. 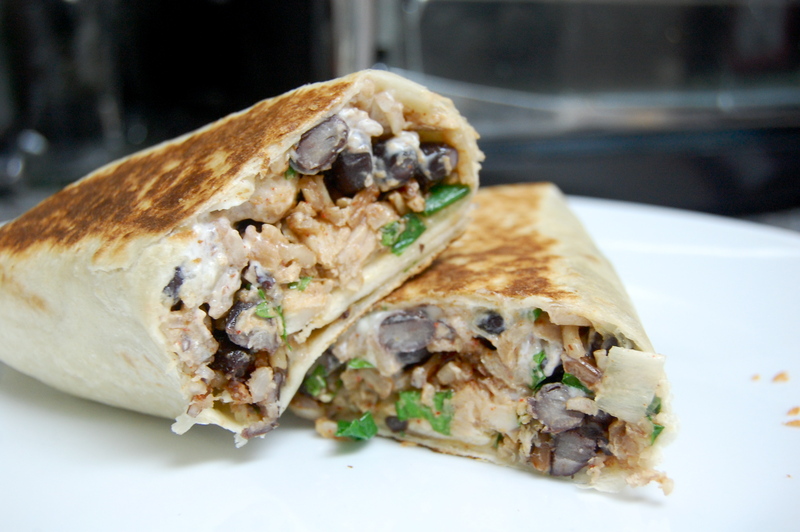 You will also need a small amount of butter (or cooking spray, but butter tastes better) for lightly smearing on the seam of the burrito roll before cooking. Mix the chili powder, cumin, garlic and salt into the rice. 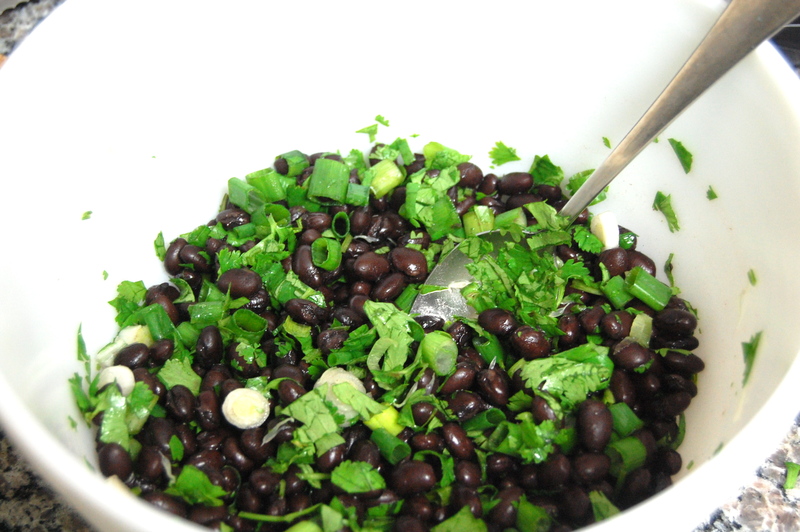 Add the chicken, beans, green onions, cilantro and lime juice and stir it all together. 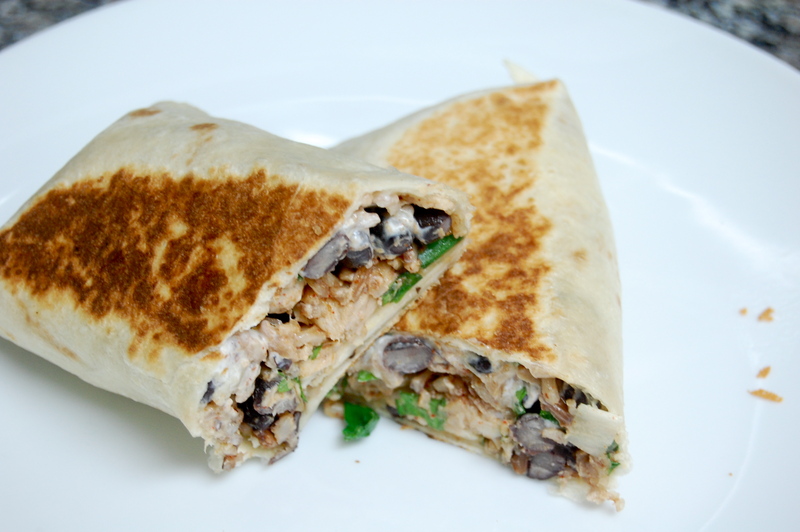 Sprinkle the cheese onto the tortillas and smear a little sour cream over the cheese, if desired. 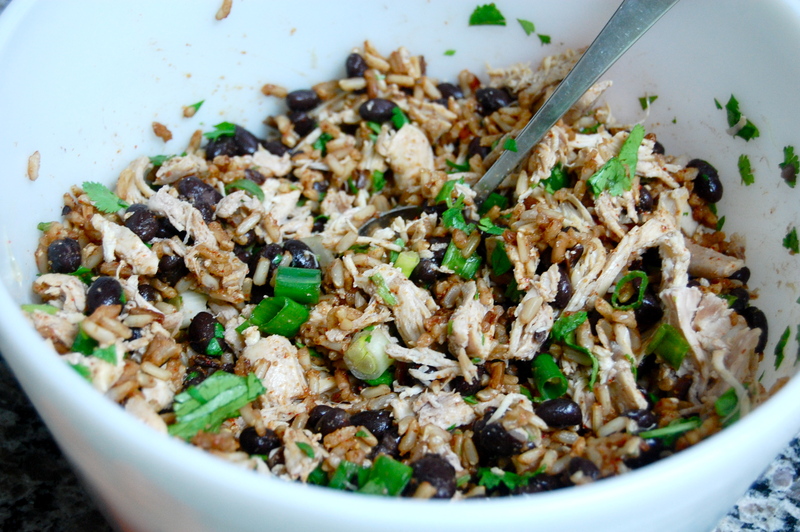 Spoon the rice mixture into a line down the center of each tortilla. Roll up the tortillas, leaving the edges open, and smoosh each wrap just a tiny bit with your hand to create flatter sides for cooking. Smear just a little butter (or cooking spray) on each of the two flat sides (one of the flat sides should include the “seam”). Heat a large skillet over medium heat. Cook the wraps 2-3 minutes on each side, starting with the seam side down first. Serve with salsa and guacamole. Looks yummy! I bet the mingling made it extra good!